The fixture list for the 2017 – 2018 UAE racing season has been approved by His Highness Sheikh Mansour Bin Zayed Al Nahyan, Deputy Prime Minister of the UAE, Minister of Presidential Affairs and Chairman of Emirates Racing Authority (ERA). The ERA season will offer 62 race dates and opens at Jebel Ali Racecourse on Friday November 3, 2017. The racing fraternity will move to Abu Dhabi Racecourse a day later and progress to Meydan Racecourse on Thursday November 9. Sharjah Racecourse gets its season underway on November 11, while Al Ain Racecourse has its first meeting on Friday November 24, 2017. 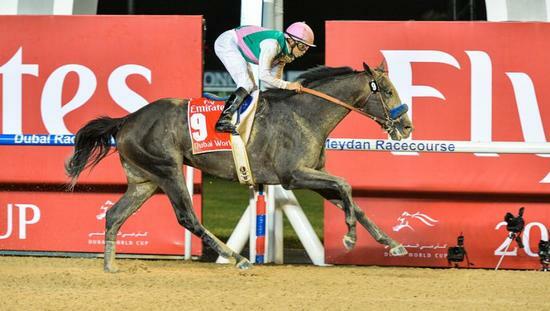 The international racing season kicks off with the opening Dubai World Cup Carnival meeting at Meydan Racecourse on Thursday January 11 while the 23rd renewal of the Dubai World Cup sponsored by Emirates will take place on Saturday March 31. In total the UAE racing season will include 10 meetings at Al Ain Racecourse, 15 at Abu Dhabi Racecourse, 11 at Jebel Ali Racecourse, 6 at Sharjah Racecourse and 20 at Meydan Racecourse. Malih Al Basti, ERA Board Member and Chairman of the ERA Steering Committee said: “We are pleased to release the fixtures for the 2017 – 2018 UAE racing season. The schedule offers trainers and race goers a comprehensive season of racing across our five tracks. “We offer racing for domestic and international horses in both the Thoroughbred and Purebred Arabian ranks and look forward to the start of another successful season of racing in the UAE on Friday November 3, 2017. The 2015/16 racing season will see racing conducted at five venues – Meydan (Dubai Racing Club), which will encapsulate the Dubai World Cup Carnival meetings, Jebel Ali (Jebel Ali Racecourse), Abu Dhabi (Abu Dhabi Equestrian Club), Sharjah (Sharjah Equestrian & Racing Club) and Al Ain (Al Ain Racecourse).